Charisma News published a web article last week with the bold headline "Pool Where Jesus Healed a Blind Man Discovered, Proves Gospel of John Is True." It opens with the claim "Archaeological evidence now proves the Gospel of John is true," then references both Eric Metaxas and a Los Angeles Times article that quoted Princeton New Testament scholar James H. Charlesworth. The claim is irresponsible. 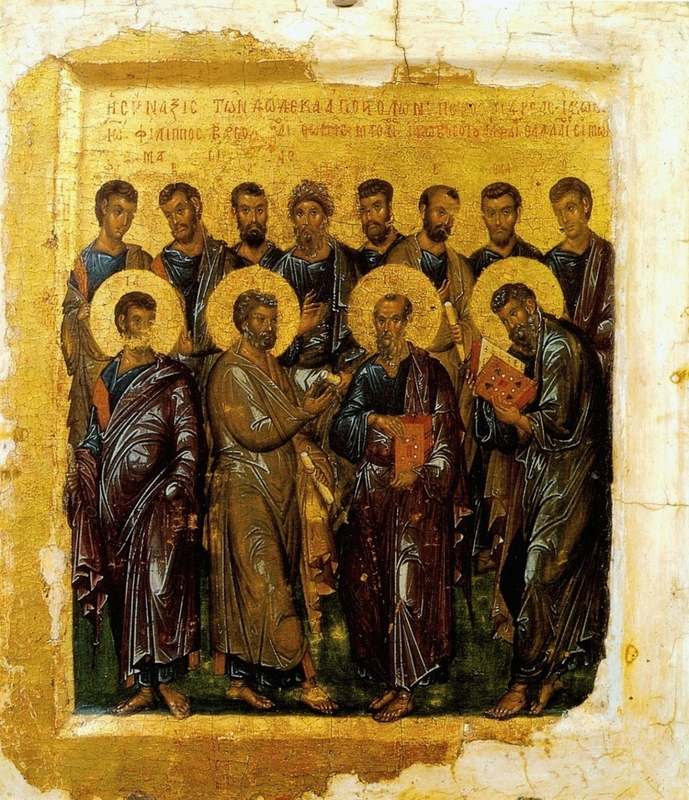 Both Metaxas in his commentary and Charlesworth are correct to say the discovery lends credence to the level of historical reliability the Gospel of John holds. But that is a completely different claim than the one leading the Charisma News article. Both the article and the headline trumpeted "Archaeological evidence now proves the Gospel of John is true." Proves? It proves the truth of the entire Gospel? That's a troubling oversimplification that is actually dangerous to the message of the Gospel, as we can see by looking at a parallel story in the Los Angeles Times. Are You Willing to Believe in Greek Gods? The well-developed pantheon of gods in Greek mythology is familiar to most people. Much of that familiarity comes from the required reading of Homer's epic The Illiad. It is Homer's tale that provides the narrative of Helen of Troy ("the face that launched a thousand ships"), Achilles and his heel, the Trojan War and the accompanying Trojan horse. We read how the Greek gods work for or against the story's heroes and for or against each other. In the 1990s, when excavations resumed after a fifty year hiatus, archaeologist can now show the Trojan War was not merely possible, but maybe even probable. Similarly, the archaeological evidence for the Siloam Pool demonstrates it is implausible to believe the Gospel of John was wholly invented in Asia well after the fall of Jerusalem by someone who has never visited the city. 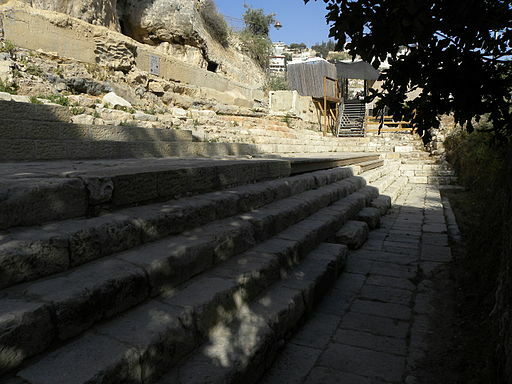 It adds credence to the claim that John was an eyewitness to Jesus' miracles at the Pool of Siloam or Bethsaida. But one cannot claim it proves the Gospel of John. Otherwise, a well-informed atheist can simply ask why you don't also believe in Achilles, and the Greek gods, since archaeology has proven the Iliad in exactly the same manner. There are many things archaeology can tell us and many things archaeology cannot tell us about the Bible. But let's be careful in how much we assume. 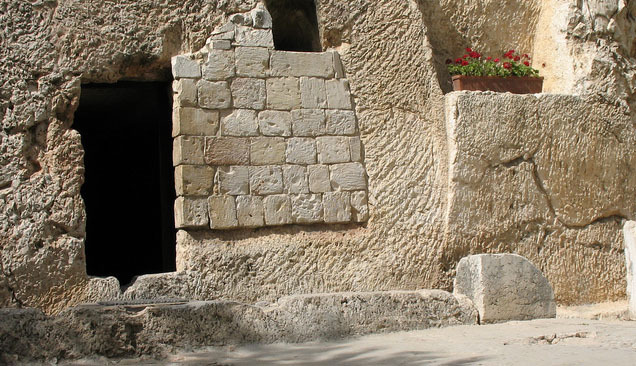 The empty tomb is a huge part of the evidence arguing for the resurrection of Jesus. 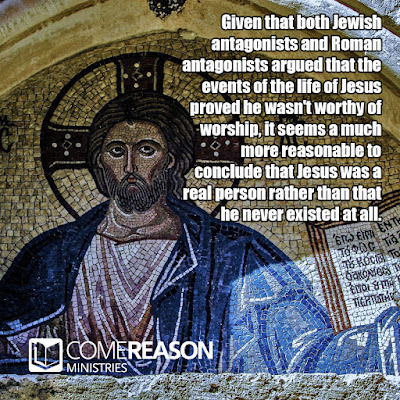 We know that the vast majority of New Testament scholars, from the very liberal to the very conservative, hold that Jesus's followers believed they had seen Jesus risen from the dead. 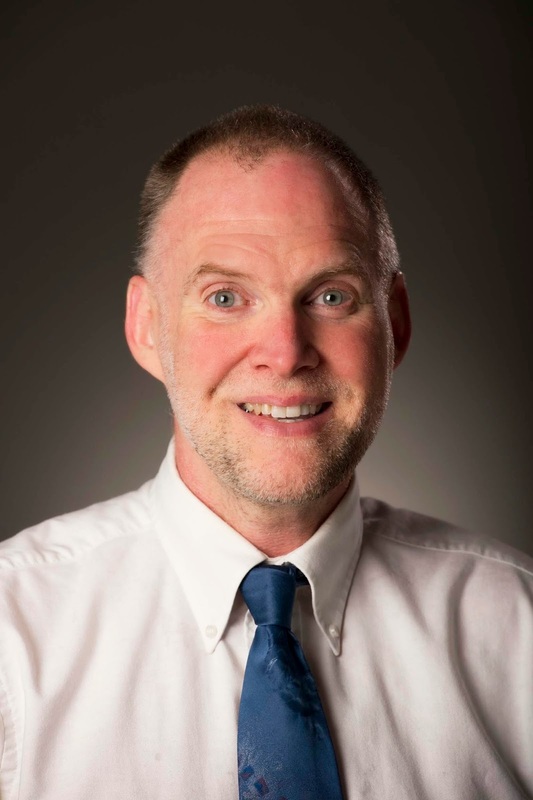 "It is an indisputable historical datum that sometime, somehow, the disciples came to believe they had seen the risen Jesus,"1 claims New Testament scholar Alexander J. M. Wedderburn, cited by Michael Licona in his book The Resurrection of Jesus: A New Historiographical Approach. 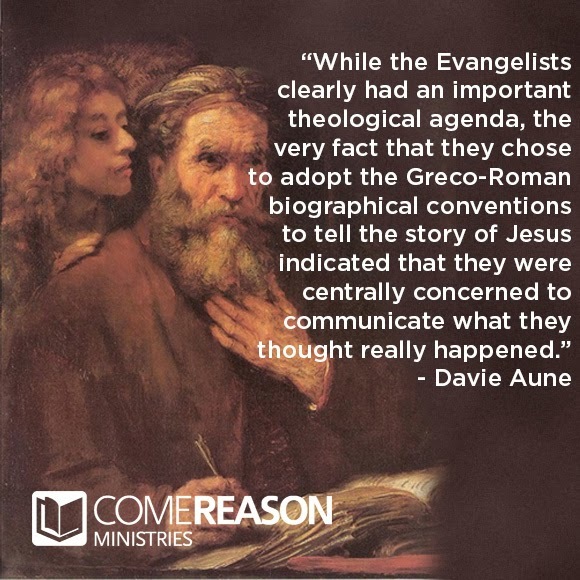 Because it's clear that Jesus' followers had some kind of experience they believed was seeing him after he rose from the dead, one must ascribe some kind of cause for their experience. Skeptics have tried to dismiss these as sincere but mistaken experiences. They've offered some kind of hallucination theory, cases of mistaken identity, a kind of "groupthink" (e.g. "I can see him, can't you see him, too? "), or dismissing these as spiritual visions instead of physical ones. Any of the above scenarios must have happened rather quickly after the crucifixion. The gospels and Acts place Jesus' appearances no later than forty days after Easter Sunday excluding Paul's Damascus road experience. Thus, Jesus' corpse could have been produced by Jesus' foes to defeat any such claims. Yet, the corpse seems to not be available to them. In fact, it is the Jewish Sanhedrin who were worried about that very issue and asked Pilate if the tomb could be secured, a request that was granted. Even then, though, they could not counter the resurrection charge. Their claim was "the disciples came and stole the body." Grant concludes that there must have been someone who had taken the body, though he doesn't know who. 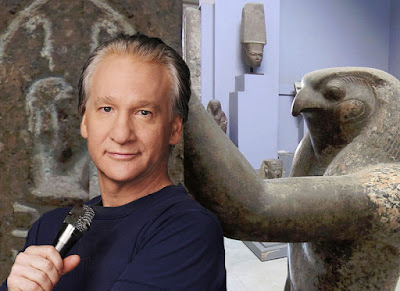 Still, Grant is right to say if the criteria one employ's for ancient history is leveraged, then we are left with the real historical fact that the tomb was indeed empty. Adding the empty tomb to the knowledge that the disciples had real, sincere experiences they identified as seeing the risen Jesus, we have a much stronger case for Jesus' resurrection. The claims of hallucinations, groupthink, or spiritual visions become much less plausible since none of those can explain where Jesus' body actually went. The evidence leads to a resurrection. 1. Licona, Michael. The Resurrection of Jesus: A New Historiographical Approach. Downers Grove,Il. : InterVarsity, 2010. 373. Print. 3. Grant, Michael. 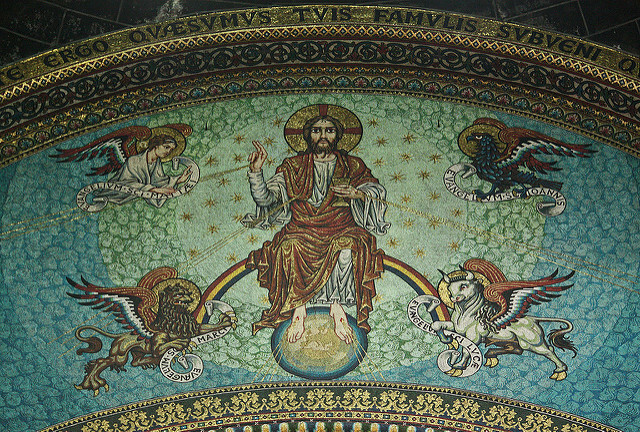 Jesus: An Historian's Review of the Gospels. New York: Scribner, 1977. 176. Print. Why Don't We Sing "Joseph, Did You Know?" One of the more popular modern Christmas songs is "Mary Did You Know?" which reflects upon the ministry, miracles, suffering and sacrifice of Jesus by asking his mother if she understood just who it is she had birthed. It's touching with a tinge of sadness as the joy of a new birth is contrasted with her certain future heartache (ref. Luke 2:35). Those of us who have children of our own can especially feel the poignancy of the vulnerable baby in your arms and the dangers she faces from the world. The scandal of Mary's pregnancy would most likely lead people to speculate whether Mary and Joseph were improperly intimate prior to marriage or whether Mary was unfaithful to Joseph completely. Either way, it didn't make things easy for him. Joseph, being a just man and unwilling to put her to shame, resolved to divorce her quietly. But as he considered these things, behold, an angel of the Lord appeared to him in a dream, saying, "Joseph, son of David, do not fear to take Mary as your wife, for that which is conceived in her is from the Holy Spirit. She will bear a son, and you shall call his name Jesus, for he will save his people from their sins" (Matt 1:19-21, ESV). Joseph's faithfulness to respond to that dream is truly courageous. I think most people would assume his desire to still marry his pregnant fiancé would imply that it was he who acted improperly and got her pregnant to begin with. The level of scandal and shame such an act would spark should not be underestimated. While Mary was faithful to the call of God, she was also visited by the angel Gabriel, given some instruction on what will happen, and even given a sign as to the truth of these things as her relative Elizabeth was pregnant even though she was past the age of childbearing. Matthew tells us that Joseph had only the dream, and his entire future was riding upon what he did with that. Has anyone thought about what an eighteen or twenty year old male would be facing in a similar situation? Most young men this age are dreaming of a particular type of future: independent, stable, with a wife who loves him and children of his own. Add to that the fact that Joseph came from the royal line of David, he should have been in a position of comfort and power. That wasn't to be, but knowing how young men think, I'm sure he had dreams of creating a good, stable life for himself and his family. However, given that Mary's first child would not be his progeny and she became pregnant even before marriage, his future is on a decidedly different track. He took Mary with him on the journey to Bethlehem, possibly to protect her and help her since the odds were out of her favor in the town where they both lived. A stigma of immorality would continue throughout their lives, even following Jesus as the Pharisees alluded to his illegitimacy (John 8:41). Yet, Joseph took the road of self-denial and self-sacrifice. This young man exemplified true virtue in standing beside Mary. 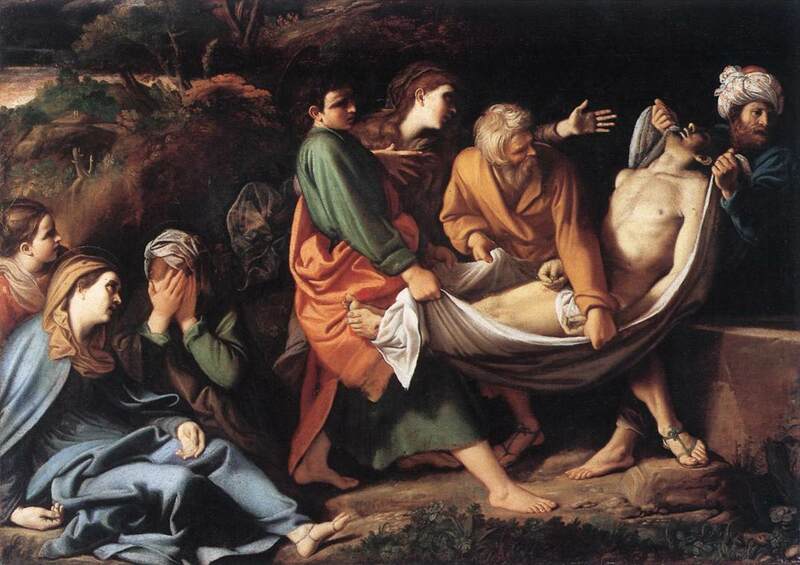 We don't know when and how Joseph died. Given Jesus's charge of his mother to the apostle John in John 19:26, it is assumed that Joseph has already passed away. We read no more about him after the birth narratives. But it would do us well to reflect upon Joseph's stand. This is a model of what a virtuous man looks like. We need to underscore it for the young people in our churches today. Would there be more Josephs in the world. 1. Keener, Craig S. The IVP Bible Background Commentary: New Testament. Downers Grove, IL: InterVarsity, 1993. Print. 48. The Bible is unique among sacred texts in that it is set against a historical backdrop. 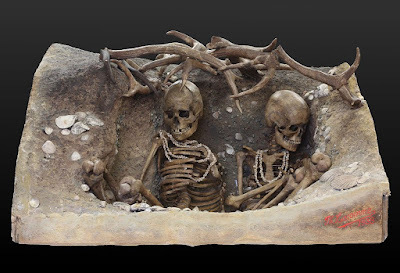 Do recent archaeological discoveries validate or discredit the Biblical accounts? Listen to this complete series as Lenny explores the relationship between the Bible and archaeology and shows why the Bible can be considered reliable historically. 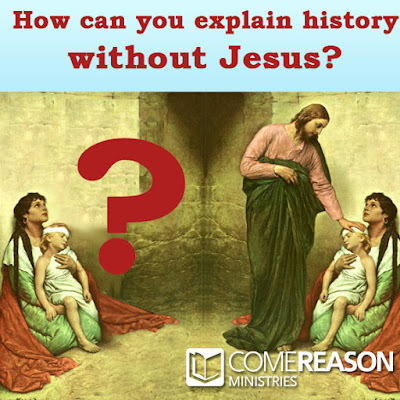 To subscribe to Come Reason's podcast, click here. I had never heard of this until today: How many Christians are aware that Jesus' grave was unguarded AND unsecured the entire first night after his crucifixion??? Isn't that a huge hole in the Christian explanation for the empty tomb?? Notice in this quote from Matthew chapter 27 below that the Pharisees do not ask Pilate for guards to guard the tomb until the next day after Jesus' crucifixion, and, even though Joseph of Arimethea had rolled a great stone in front of the tomb's door, he had not SEALED it shut! The empty tomb "evidence" for the supernatural reanimation/resurrection of Jesus by Yahweh has a HUGE hole in it! 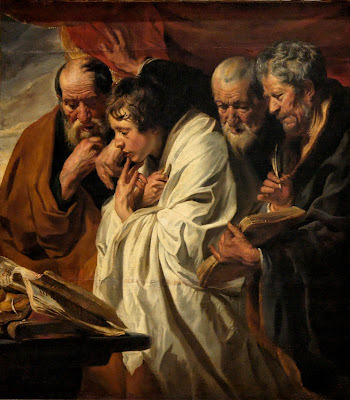 The next day, that is, after the day of Preparation, the chief priests and the Pharisees gathered before Pilate and said, "Sir, we remember what that impostor said while he was still alive, ‘After three days I will rise again.' Therefore command the tomb to be made secure until the third day; otherwise his disciples may go and steal him away, and tell the people, ‘He has been raised from the dead,' and the last deception would be worse than the first." Pilate said to them, "You have a guard of soldiers; go, make it as secure as you can." 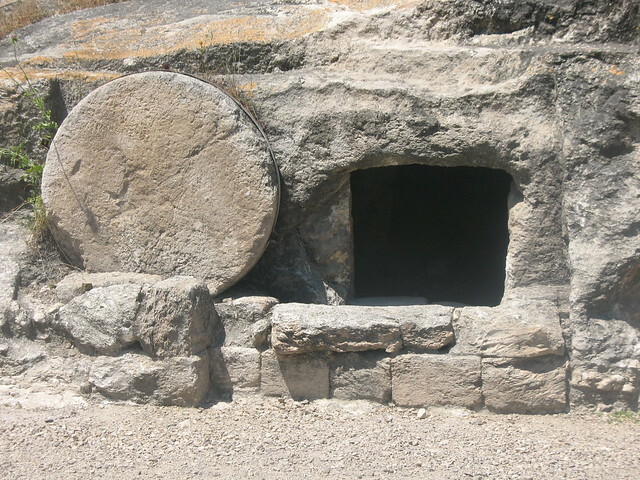 So they went with the guard and made the tomb secure by sealing the stone." Objections like these are interesting because on the surface they sound plausible. However, many times we bring our own assumptions into such a reading without realizing it. I think this is what has happened here. First, it's important to realize that the source of this exchange is Matthew's Gospel. Matthew is the most Jewish of the four gospel accounts and his account of the time of Jesus's crucifixion (Matt. 27:45) reflect the Jewish rather than Roman accounting of time. It is well known that for Jews a new day begins at sundown. This means the term "the next day" doesn't imply a minimum of twelve to twenty-four hours later. In fact, we know that Jesus was buried very close to sundown because the women didn't have enough time to properly prepare his body, which is why they were going back to the tomb on Sunday morning. It's also why Pilate had the legs of the others condemned broken; it would speed their death so they could also be dealt with before the onset of the Sabbath. Secondly, we know that the Jewish leadership was familiar with Jesus's claim to resurrect in three days, and were so deeply concerned about some manipulation to that end that they approached Pilate on the Sabbath to ask for a guard. Pilate allows them to use their own temple guards to secure the tomb.1 But this would happen rather quickly. The crucifixion is a public event and we know the priests were watching Jesus die. Since Jesus's prediction of resurrection came well before his crucifixion, it must've been on their minds. Why would they have waited until the next morning or afternoon? Haste is necessary to effectively stop any tomb raiding by disciples. Wouldn't the Guards Have Checked? Thirdly, we have to think about the charge given to the guard. Are they to simply guard the tomb from that point forward no matter in what condition it currently is found? The guards are dispatched with this very crucial task that is of such concern that it unites the chief priests and the Pharisees in a common goal. They get to the tomb and they must see it in one of two conditions. Either the stone has been sealed over the tomb or the tomb is open. If the stone has been placed over the tomb, then they guard that configuration. But, we read later that the women (who were concerned about moving the stone) found it rolled away on Sunday morning. Who did that? Why would the guard even allow that to happen? The second choice is the stone wasn't sealed but the guards sealed it there. Two questions now surface, did the guards bother to look inside the open tomb to make sure that the body was still in there? If the challenge is to keep people for stealing the body, don't you check to make sure the body is still there? If you don't and seal the tomb anyway, the question still remains why did the guards allow someone else to come up and open the tomb at all? Isn't your assignment to not let that happen? Lastly, the stolen body cannot explain the conversion of Saul of Tarsus, who believed the chief priests and sought to exterminate what he considered a blasphemous threat to his beliefs. So the "hole" in the resurrection story turns out to be evidence for the resurrection itself. Without an open tomb, one cannot claim an empty tomb. But since the tomb as found empty, which is common knowledge as N.T. Wright notes, then it lends credence to the resurrection account. 1. Many have assumed the Jews were asking for a Roman guard, but I think that isn't correct. The fact that the guards don't report back to Pilate, but to the chief priests indicate they were under the Sanhedrin's control. Further, when Roman guards allowed prisons to be violated, such as in Acts 16:27-28, he knew the penalty would be a cruel death and would rather have taken his own life. It makes more sense to read Pilate as saying "You have guards of your own; you can use them to make the tomb secure." 2. Keener, Craig S. The Historical Jesus of the Gospels. Grand Rapids, MI: William B. Eerdmans Pub., 2009. Print.342. 3. Wright, N. T. The Resurrection of the Son of God. Minneapolis, MN: Fortress Press, 2003. Print. 638. Among skeptics there's a rather vocal contingent that wishes to classify Jesus as mythical and the events of the Apostles as charades. However, those whose profession it is to understand the documents like the Gospel of Luke and the book of Acts hold a much different view. In the footnote to that last quote, he explains that Hengel and Schwemer complain "most NT scholars cannot handle the primary sources well enough to discern accurate from inaccurate scholarship and that 'it is easier to keep hawking around scholastic clichés and old prejudices pseudo-critically and without closer examination, than to occupy oneself with the varied ancient sources which are often difficult to interpret and remote.'" The Jesus-myth crowd is actually in worse shape than those that Hengel and Schwemer complain against, since they are hawking around populist, not scholastic, clichés fueled only by their bias and not by the examination of the evidence. Keener, Craig S. Acts: An Exegetical Commentary. Vol. 1. Grand Rapids, MI: Baker Academic, 2012. Print.81-82, footnote 10. There are many people who are skeptical of the Gospel accounts of Jesus's life, death, and resurrection. 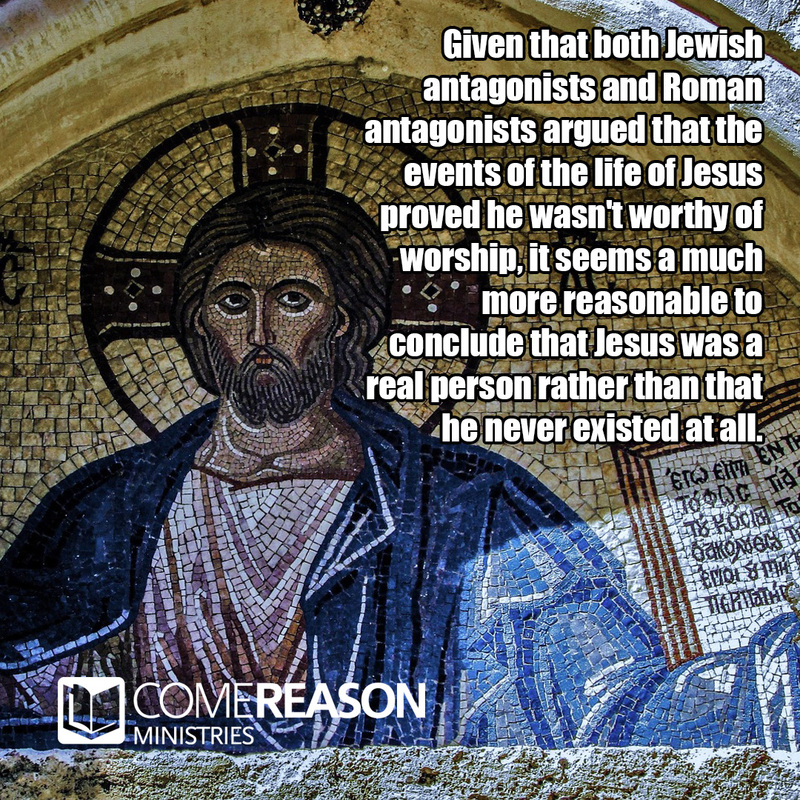 Atheist Michael Martin, in his book The Case Against Christianity, asserts "many biblical scholars have argued that the Resurrection story was shaped by the theological aims of the evangelists. "1 Basically, Martin holds that the gospel writers were led to construct the resurrection accounts "shaped by the purposes of the evangelists. "2 The New Testament writers were obviously writing to sell Christianity to their audience, so why should we believe their accounts? The charge of bias is an easy one to make, but because an author is biased doesn't mean we can't have a certain level of assurance that the events he described did indeed happen. We are all biased in our views; there's no way to escape bias on one type or another. Mike Licona notes that it is common practice for those who record history to "select data because of their relevance to the particular historian, and these become evidence for the building the historian's case for a particular hypothesis. "3 Licona compares such actions with a detective as a crime scene who "survey all of the data and select specific data which become evidence as they are interpreted within the framework of a hypothesis. Data that are irrelevant to that hypothesis are archived or ignored. Historians work in the same manner. "4 There's no escaping bias. It doesn't follow that just because the authors of the gospels were Christians that they were going to be liars any more than it follows that the man who spent some twenty hours describing a Moorish trooper was lying to Lucian. One who assumes so shows his or her own bias against the Gospel records. 1. Martin, Michael. The Case against Christianity. Philadelphia: Temple UP, 1991. Print. 77. 3. Licona, Michael R. The Resurrection of Jesus: A New Historiographical Approach. Downers Grove, IL: IVP Academic, 2010. Print. 34. 5. Fowler, H. W., and F. G. Fowler. "The Way to Write History." Works of Lucian, Vol. II. Oxford: The Clarendon Press, 1905. Web. 30 Mar. 2015. http://www.sacred-texts.com/cla/luc/wl2/wl210.htm.